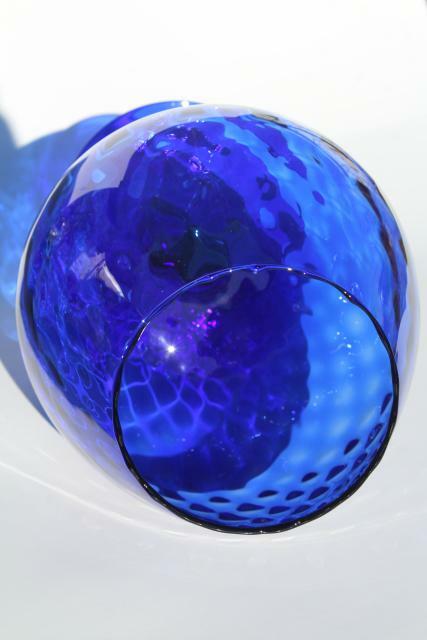 Vintage hand blown glass vase made in Italy, 1950s or 60s, classically mid century mod! 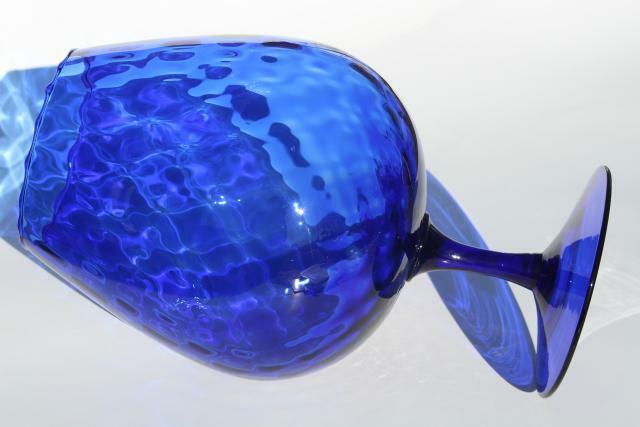 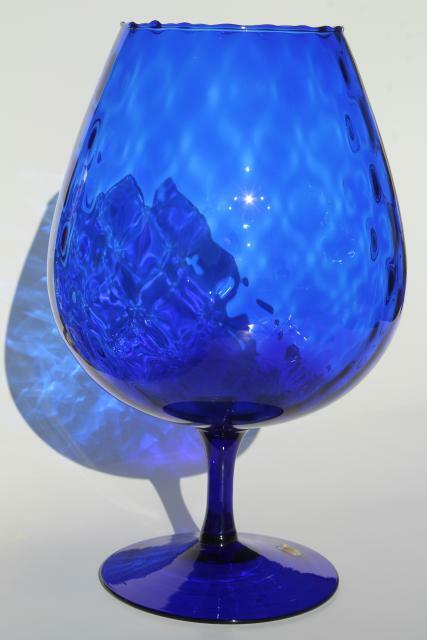 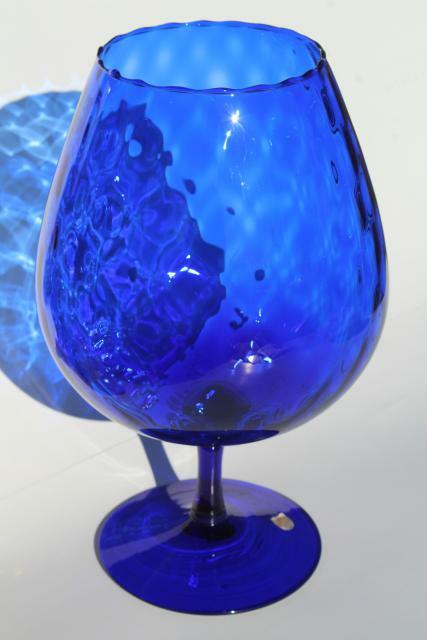 We love the deep cobalt blue color and oversized brandy snifter shape. 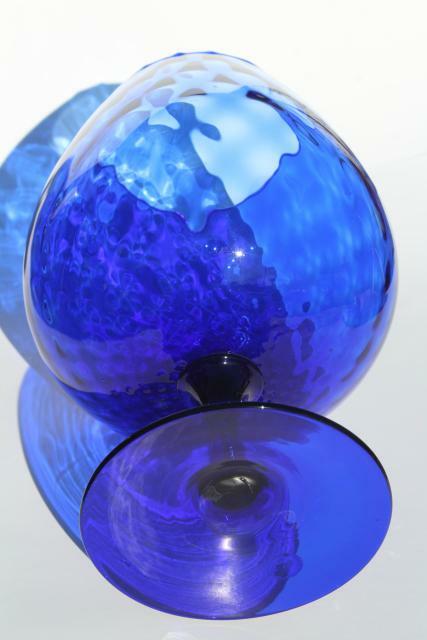 This measures about 6 1/2" in diameter across the fattest part of the vase, and stands 13" tall. 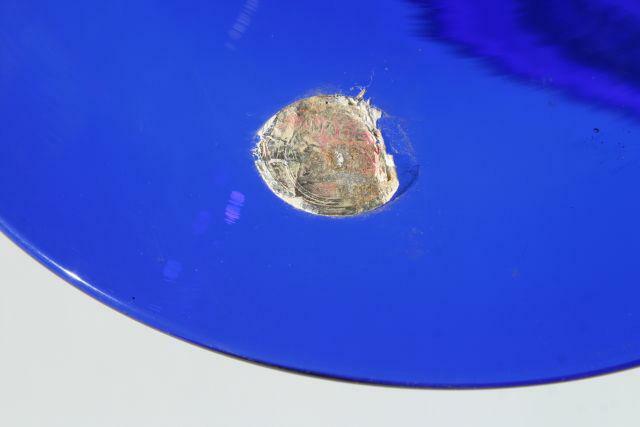 It's in excellent condition with remains of the original foil label.